AIDAaura set off on Monday on its 41-port world voyage, which will see the vessel visit 20 countries. The AIDAaura will cross the equator heading to South America on her way to Ushuaia. After a few stops in Chile, the cruise gets exotic, AIDA said, as the ship crosses the Pacific to Australia, with calls in Tahiti, Bora Bora, and Fiji. The AIDAaura then continues its voyage towards Mauritius, crossing the Indian Ocean, with port calls then taking place in South Africa and Namibia. From there, the ship crosses the equator a second time, calling in the Canary Islands and then Hamburg, where the cruise comes to an end after 117 days. 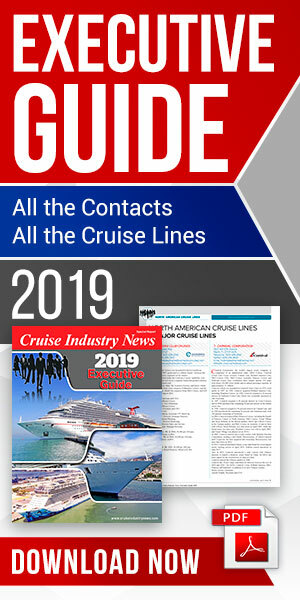 The next world cruise is scheduled to depart on AIDAaura on Oct. 28, 2019.